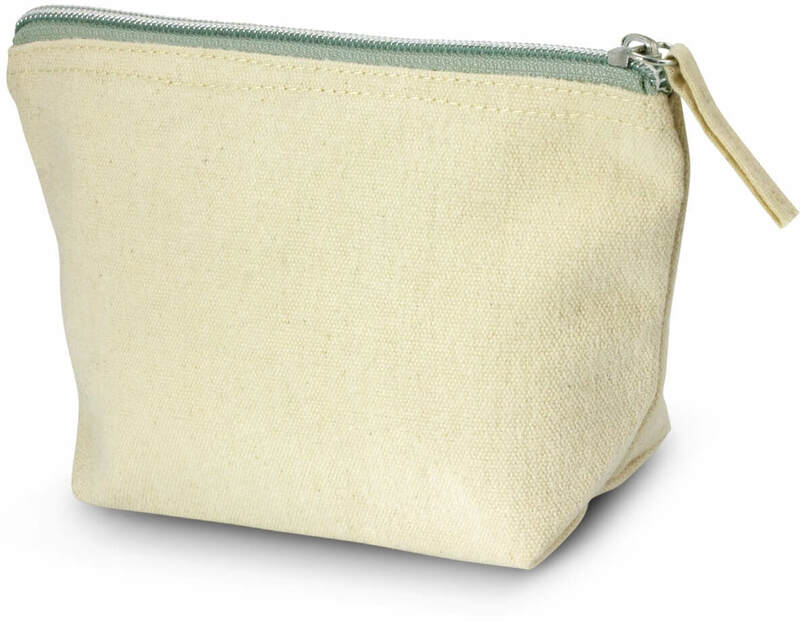 There are 3 cosmetic bags in this range and this is the small size. It has a zipper closure and is made from tough 400 gsm unbleached natural cotton canvas. This is perfect if you are looking for an eco friendly beauty product. Great for travel industries. W 190mm x H 112mm x 60mm. Screen Print – 120mm x 60mm. Digital transfer – 120mm x 60mm.